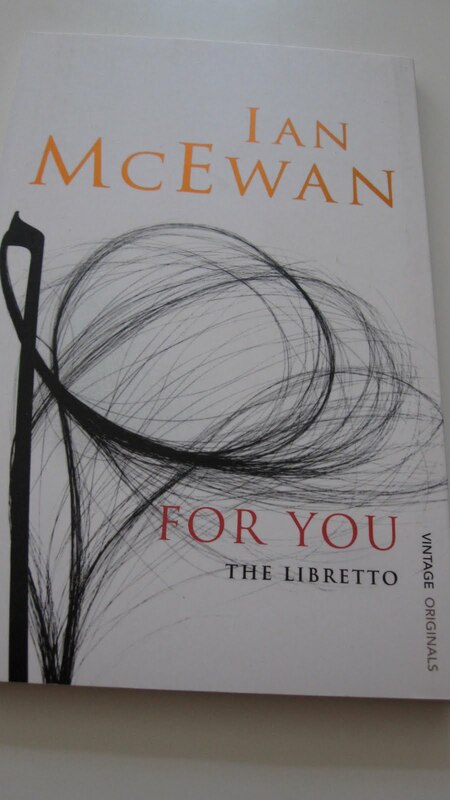 In 2008, Ian McEwan collaborated with a composer named Michael Berkeley for the opera "For You", which debuted with Music Theatre Wales in October of that year. (Twenty years earlier, Berekely and McEwan did an opera called "Or Shall We Die?" which I don't know much about--I'd seen it on many rare book sites, but I've yet to pick it up.) 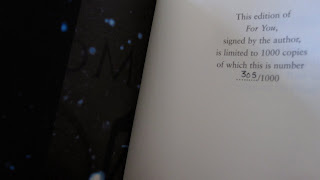 A few years ago I heard some buzz that McEwan's libretto was going to be released in a small, limited edition paperback and picked up a copy for around $15.00. As a McEwan fan, it's fascinating to see how he works in a different medium. Of course, the libretto is written in verse, which was a completely new side of McEwan that I hadn't encountered before. Plot-wise, it's much of the same--a sexual tangle between a composer, his wife, and his housekeeper. 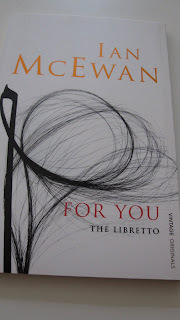 It's a story you've read before if you've read McEwan, but if you're a fan of that story "For You" is certainly worth a read. 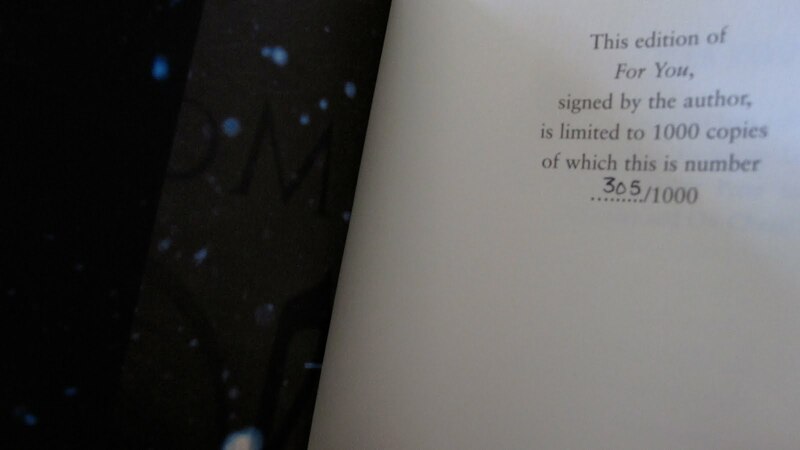 Every copy of the paperback is numbered in an edition of 1000, and flatsigned by both McEwan and Berkeley.